Video for a stage production can be tricky and fraught. No matter how good the camera, lighting, camera person and editor, it will never come close to capturing the true essence of what is really going on live. Whoever’s watching must always make an imaginative leap to get an idea. While we’ve usually taken both archive photos as well as often made videotapes of productions for archival purposes here at Stone Soup, we’ve only recently begun to use video as an added promotional tool for our shows. This has taken a couple of different forms, and we are still experimenting. For last winter’s How I Learned to Drive, we used rehearsal footage of three characters to develop a short promo. 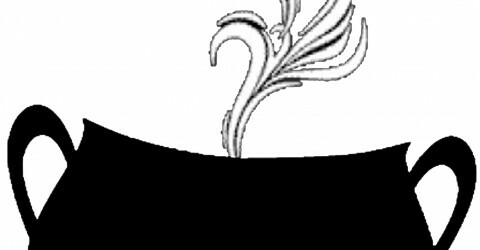 For Compleat Works of Wllm Shkspr (Abridged) this past fall, we had two videos. The first one was put together by our fall high school student intern, Leo Garibaldi, and he did not use any footage of actors or the show itself, but rather, I gave him a Shakespeare action figure, told him to “go zany” and make something about a minute long. This was the result. This was followed by some footage of an excerpt of the play taken during the Compleat Works Open Rehearsal, graciously taped and edited by former marketing intern Tim Takechi. I decided to mostly take a different course for our yearly holiday show, A Child’s Christmas in Wales and filmed short interviews of all our child actors (example), basically just asking them the same five questions and turning them into short promos of 1 minute or less. I also included a short song performed by a some of the children during rehearsal. Come January, it was time to do something for Young Man From Atlanta, and again, I wanted to do something beyond excerpts from rehearsal. Director Maureen Hawkins and I came up with something of a “prequel” to the show – a short piece that shows an event and character much talked about in the play who does not actually appear in the play itself, but who is a catalyst for many of the play’s events. I contacted my friend and frequent collaborator, filmmaker Ralph Fontaine and he came on board to help set up the video, edit it and star in it as well! We filmed on a grey, blustery day, I manned the camera under Ralph’s direction as we both nearly froze to death shooting it for about 2 hours. The Puget Sound does not really look a whole lot like a lake in Florida, and of course, the weather refused to cooperate, but it was all we had. I like the way it turned out, though it is perhaps a little too long. View it here. If you are able and willing, watch them all (links above and here, on Stone Soup’s Youtube channel) and let me know which of them most compels you to come see the show and why! A thoughtful answer gets you one free ticket to see The Young Man From Atlanta during opening weekend (2/15-18/2012) if you provide an email address. 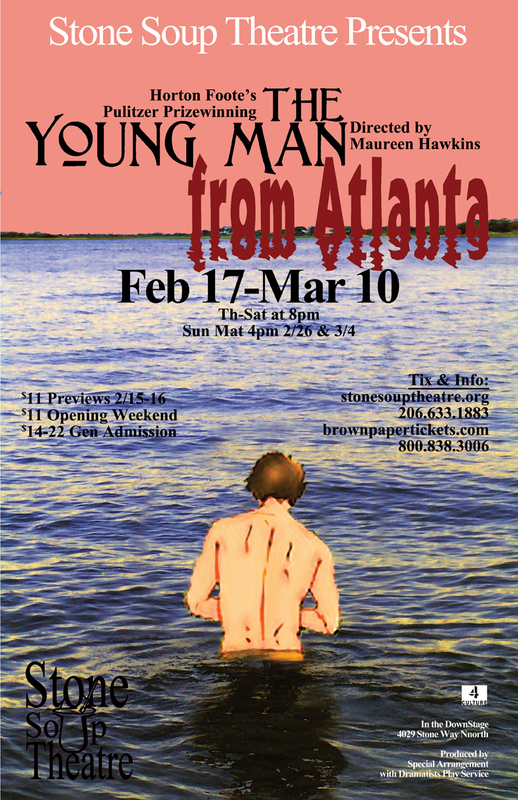 The Young Man From Atlanta previews Feb 15 and runs through Mar 10, 2012. Th-Sat at 8pm, plus Sun matinees 2/26 and 3/4 at 4pm in the DownStage at 4029 Stone Way North, 98103. Tickets can be purchased at Brown Paper Tickets, GoldStar , or by phoning 206.633.1883.